Today the complexity of production technologies is increasing and the variety of products is exploding. First and maybe an obvious question: How is this impacting the way industries are working? and obviously the way they are manufactured (faster, better and higher quality). Points 1 and 2 rely on building new things and fall under the Product Lifecycle Management, a big umbrella with significant growth opportunities and consistent innovations powered in sync with our major partners and clients. 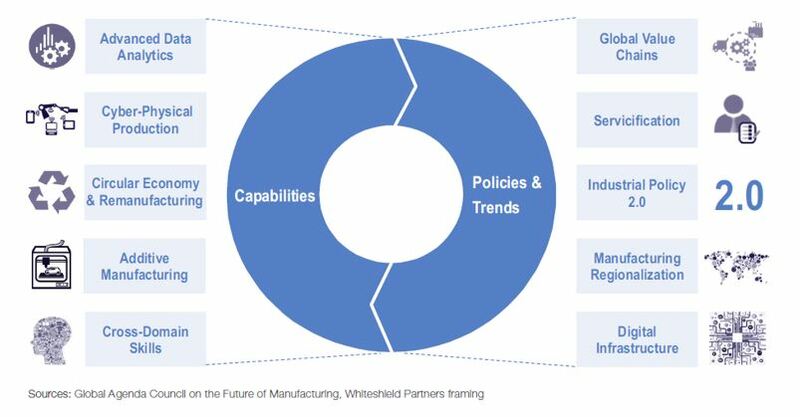 Point 3 is mostly about the core of Digital Manufacturing: how Digital should improve the performance of industrial organizations and manufacturing processes. 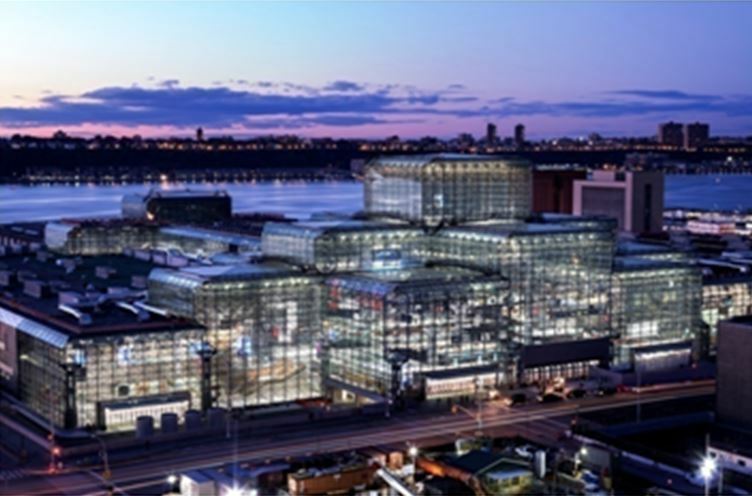 Nowadays the vast majority of industrial companies are sitting on massive investments in factories and assets, and confronted with slower growing and more uncertain markets, simply cannot afford to invest on new ones. As a digital transformation leader, we think that they need to progressively upgrade their factories and selectively implement new production technologies, while constantly improving performance. Pascal, in this changing era, you say that the low-tech beauty of Lean has reached its limit. What do you mean? Operating a modern production facility is probably one of the most complex jobs in the industry. Over the last few decades, a number of techniques have been developed to manage that complexity … by eliminating it. Years of honing simple techniques such as JIT and SMED have converged into what is known today as “Lean Manufacturing”. A Lean plant is a precise choreography, regularly churning out products, but does not cope very well with the smaller and smaller lot sizes of ever more personalized products allowed by the Digital technologies and which are now asked by the consumers. This is why, in the current context, we believe that Lean Manufacturing has reached its limit and is due for a massive technology upgrade. Comparing manufacturing operations to a ballet: What an interesting and disruptive picture! I guess that, as for dancers, breakdowns are not allowed. Could you share how modern IT – like automation and data-driven” optimization – is supporting Manufacturing Operations? Indeed, the highly efficient choreography of a lean factory does not tolerate equipment breakdowns particularly well, which is why Total Preventative Maintenance (TPM) became a major part of Lean. As production equipment became increasingly automated, engineers could monitor more and more parameters and started leveraging statistical techniques to anticipate failures. As the power of computers grew exponentially, they went from simple algorithms to complex “machine learning” that can anticipate 90+% of the potential failures of complex production equipment. 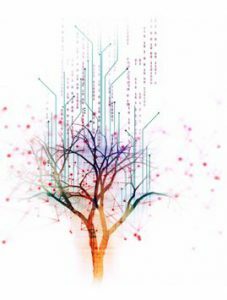 The “low hanging fruit” of applying analytics to manufacturing operations is preventative maintenance. With their complexity, many moving parts and intense “wear and tear”, welding (or gluing) robots are among the most problem-prone equipment in a modern car production facility. Using off-the-shelf technology, a first phase of two months allowed a core team of 10 engineers to build a “minimum viable product” solution, which was first used to analyze 25+ million welding/gluing operations and extrapolate failure prediction models. The results confirmed that the solution could predict failures with 90+% accuracy, resulting in 8 hours of downtime saved per week across 600 robots. A second phase of three months is underway to fully package the solution and harvest the benefits in day-to-day operations. Once this first application is deployed, the same data enriched with additional parameters will equip us to successfully tackle the second opportunity – the quality of welding/gluing. Using similar techniques, engineers then moved from preventing failures to optimizing the performance of the most critical assets. Statistical Process Control, as these techniques are known, routinely deliver 5-15% performance improvement on continuous processes. So, now that Lean has reached its limit, the natural question is – can the same technique be applied to the entire factory or even beyond, to the complete supply chain? We understand that technology should enable the Digital Manufacturing but for you, since it faces a gap between IT and OT, this is much more a roadblock. Could you explain why? Collecting data from a single machine and its immediate environment to feed optimization algorithms is one thing, collecting data from a complete factory and its environment is a very different endeavor. One potentially needs to aggregate and analyze data, not only from disparate equipment but also from production tracking systems as well as enterprise applications. … and any interruption of this fragile “stack” means lost production, angry customers, and a considerable financial impact. Do you think that IoT could help to merge the gap and transform a tricky challenge into a new category of “Smart Operations Platforms”? Absolutely, and this is, by the way, one of the powers of Digital! When not constrained by the legacy systems of factories, engineers who wanted to optimize standalone assets, like jet engines, turned to emerging IT technologies to connect these assets (3/4G networks), store the data (Big Data storage) and then analyze it (Big Data analytics). They soon realized that the resulting systems were cheaper, a lot more powerful and a lot more flexible than their traditional OT systems. 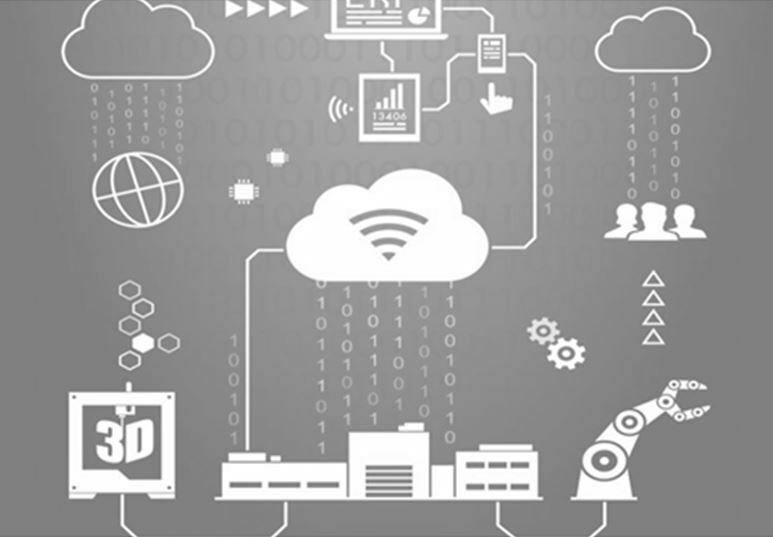 From standalone applications, IoT started entering the plant and Industrial IoT – the technology innovations behind Digital Manufacturing – was born. 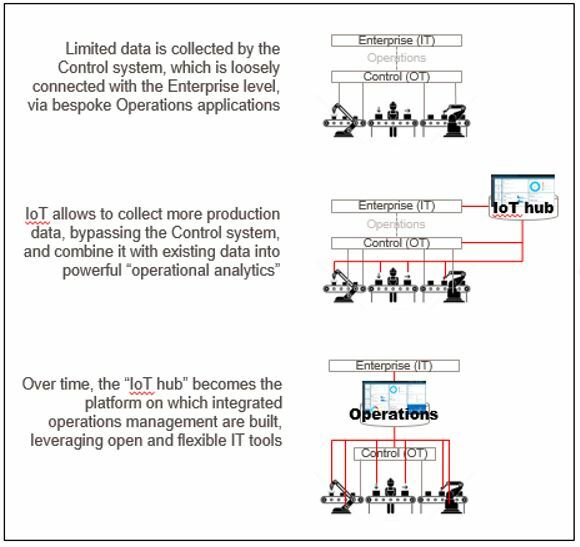 As we speak, CIOs have started understanding that IoT technologies can co-exist with the traditional OT “stack” and progressively bring the “cheaper, more powerful and more flexible” revolution to the factory. In your introduction, you mentioned that Industry 4.0 promises need to be turned into scalable applications: why scaling is “the” challenge for you? After experimenting with IoT technology as part of proof-of-concept projects, most manufacturing companies are now convinced that Industrial IoT/Digital Manufacturing indeed can deliver the next wave of performance improvement. However, even if IoT technologies are a lot more flexible than “traditional OT”, upgrading Manufacturing Operations – skills, processes, and systems – in a safe and progressive manner is a significant challenge that gives many CXOs pause. Success will require a new level of collaboration between IT and Operations to design a roadmap made of self-funded increments that nevertheless add up to a highly integrated and scalable Manufacturing Operations Management architecture. How could we reach that goal and who is the best sponsor to deal with? We will only raise our Digital Manufacturing models by disrupting our current or traditional ways of working. For instance, my view is that Business Intelligence needs to come out of IT departments to the shop floor and evolve into forward-looking “Operational Intelligence”. As ever, technology is just the enabler. Digital Manufacturing, not unlike Kaizen, is about the systematic discovery, understanding and elimination of performance inhibitors, leveraging data versus casual observation. Establishing a data culture in the factory builds on Lean, but requires everyone – from the operator to the COO – to experience and progressively master the basics of data-based management. This is why the traditional data analyst, sitting in the IT Department, to produce rear view reports, is progressively moving to the shop floor to work shoulder to shoulder with production personnel and constantly hone forward-looking indicators. There is not only one sponsor but any people working on a product manufacturing line needs to feel involved in the process: this a continuous turning wheel in which everyone has its role to play. Would you conclude that the Digital opportunity extends beyond manufacturing …? For sure! Manufacturing is a milestone in the product lifecycle but industrials have to permanently think to the final user or consumer… who is also the first one to decide of the production process because he chooses to purchase strawberry yogurt without sugar while she prefers to order the fashion blue and gold sneakers with her name on the left foot. In some industries, like Food & Beverages, manufacturing is relatively simple (don’t underestimate the complexity of producing yogurt though) and only a small percentage of overall costs. Synchronizing manufacturing with the supply chain, “from farm to fork” is required to remain competitive. Just like within the four walls of the factory, the ability to have a real-time status of the entire supply chain, potentially including the moment when the final customer orders or picks up the product, and use real-time analytics to adapt in real time can deliver significant savings and increased customer service. … and even beyond operations? While on the one hand, our customers need to get more out of existing assets, on the other, new factories or distribution centers are still getting built. Increasingly, new production assets are designed using 3D tools, which opens the other major opportunity in manufacturing. Finally, when the equipment is operational, live data coming from the control system can be injected into the 3D model, transforming it into a “virtual twin” of the real equipment, line or factory. This virtual twin not only makes monitoring a lot more intuitive for operators but also allows to simulate potential problems and even anticipate them. Just in Time is a simple and visual method of managing flows in a factory with minimal inventory, sometimes less than an hour worth of production. Inventories being used as a buffer in case of production problems, JIT makes those a lot more visible, the rule is that an operator can stop the line when encountering a problem. This in turn “forces” a culture of understanding and eliminating the root cause of problems. Single Minute Exchange Die is another simple method to eliminate the second cause of non-productivity – production change-overs. Initially developed on heavy stamping presses (to change the die) SMED aims at preparing as much of the tooling changes required to switch from one product to another before the change, to perform the change itself in under one minute. Kaizen is the Japanese word for “continuous improvement”, where workers look for small improvements that can be implemented quickly, ideally the same day. The purpose of Kaisen goes beyond simple productivity improvement. It is also a process that, when done correctly, humanizes the workplace, eliminates overly hard work (muri) and teaches people, using a systematic method, how to spot waste in operations, perform experiments on their work and implement lasting improvements. Many thanks for your comment. happy to see it is helpful.